In ancient times and up to the Renaissance and beyond, it was a widespread belief that the color and markings (such as socks, blazes and other markings) of the horse’s coat identified the nature, inclinations and the specific characteristics of each animal. This belief led to the preference of some coats, which were considered as expression of a more reliable and healthy nature, and to dismiss others, regarding them as signs of an unfavorable “complexion”. We find an explicit mention of this belief in the main Renaissance treatises, starting from the first printed book dedicated to horse riding: Gli ordini di cavalcare (The Orders of Riding, 1550), by Federico Grisone. The favorite coat of the Neapolitan author, who expresses what was a current opinion at the time and not just a personal preference, was the bay, but he also appreciated the dapple gray and the liver chestnut. In general, the author considers the white hairs a symptom of weakness and, for this reason, he gave preference to specimens with dark legs, or small socks. Despite the fact that the author stresses that these considerations are drawn from experience, rather than from opinion, he admits that often «these marks fail and one sees the opposite effect» (GRISONE, 1550, p. 4v). For this reason, he recommends that to best assess the horse’s “complexion”, one should begin to examine him from the ground, that is to say by the quality of his hooves and limbs. 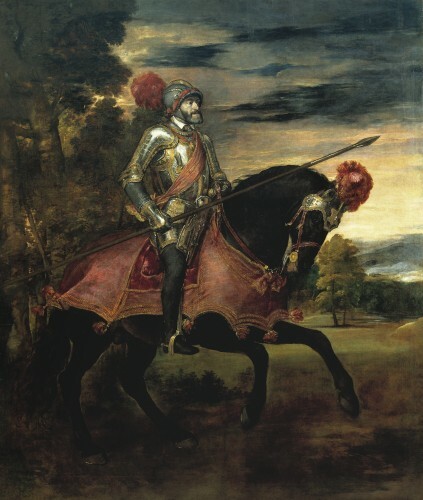 We find similar convictions in the subsequent work by Cesare Fiaschi: Trattato dell’imbrigliare, atteggiare e ferrare cavalli (Treatise about bridling, training and shoeing horses, 1556). Also, the author from Ferrara argues that the color of the coat and the markings should be regarded as indications of the nature of the animal (FIASCHI, 1556, p. 38). Similarly, he considers the light hairs as a sign of weakness, because in them lies the phlegmatic humor (FIASCHI, 1556, p. 153). This conception was based on the so-called “theory of humors,” introduced by Hippocrates (IV-III century BC), considered the father of medicine, and then backed up by the Roman physician, Galen (129-216). This doctrine remained dominant in ancient Western medicine until at least the seventeenth century. It was the first attempt to explain the cause of diseases, replacing the previous religious and magical beliefs, and was based on the idea of the Greek philosopher Anaximenes of Miletus (fourth century BC) that the universe was made up of four basic elements: air, water, fire and earth. From these four elements Hippocrates identfied four basic humors: black bile, yellow bile, phlegm and blood (red humor). The black bile (also known as melancholy) corresponded to the earth, fire to the yellow bile (also known as anger), water to the phlegm, and air to blood. Four temperaments (phlegmatic, melancholic, choleric and sanguine) corresponded to the four humors, and further to: four elementary qualities (cold, warm, dry, moist), four seasons (spring, summer, autumn and winter) and four seasons of life (childhood, youth, maturity and old age). According to this scheme, health would depend on the humors’ balance within the body and the predominance of one of them would influence the personality of the subject, defining his temperament and physical constitution (known as “complexion”). 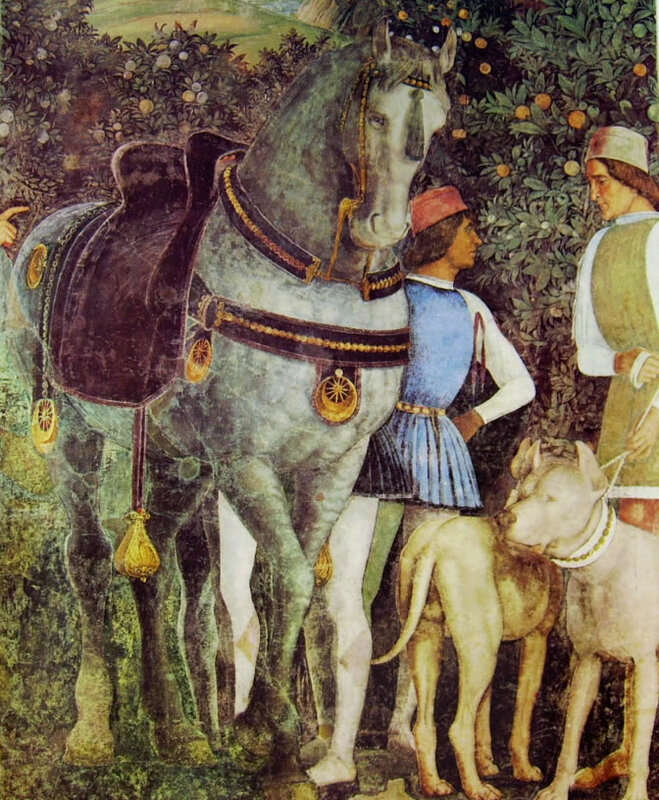 The clearest and more detailed explanation of how this theory could also apply to horses is given by Claudio Corte, a Lombard horseman who published, in 1562, a book called Il cavallarizzo (The Horseman), in which he shows a remarkable literary culture, which is reflected in the richness of the quotations, as well as in the adoption of sophisticated literary proceedings in his treatise. According to Corte, the natural heat governs the digestion of the humors in the body of the animal. This process generates “sooty vapors”, which are pushed upward by the force of the same heat and exert a pressure to exit from the body. The leakage occurs through the pores and «through that flesh, which they find more suitable and open to give them way» (CORTE, 1562, p. 23r). When they get in contact with the air, they “conglutinate”, that is to say that they thicken, forming the hairs and the mane, which are thicker, or thinner, depending on the greater or lesser heat which has pushed them out and then take on different colors depending on the humor from which the vapor producing them was generated. Similarly, the hairs are straight or curly depending on how much dry, moist, straight or crooked are the ways by which they are released. For this reason, Corte says, the quality of the coat gives a clear indication of the nature of horses, «of their greater warmth or coldness, dryness and moisture» (CORTE, 1562, p. 23r). As for the coats, Corte agrees with the general opinion of the time, granting a preference to the bay, the dapple gray and the liver chestnut. Roans are also appreciated, because they combine the natures of the four main coats. He shows, however, very little consideration for the black, although he admits that there are some very good examples. Finally, he is skeptical about the meaning of socks. Having failed to find convincing explanations, he claims to refer to the authority of the ancients, according to whom the leg with the sock would be slower and weaker. On this point, however, he maintains some reservation, concluding that the experience shows the irrelevance of socks and of other signs, such as blazes and whorls. And to fortify my opinion, the experience, master of things, shows that the weakness and strength, speed and slowness come and depend on the climate of the whole body and on its disposition and proportion and not on small socks, as well as little force comes and depends from little humor. (CORTE, 1562, p. 29r). And do not think that although the horse is well organized by nature, without the human aid and the true doctrine he could work well by himself, because you have to wake up his limbs and the occult virtues that are in him through art, and with the true order and good discipline he will show clearly his goodness. On the contrary, when art is false it ruins and covers all his virtues, as well as when it is good it compensates to the many parts where his nature lacks (GRISONE, 1550, p. 10r). 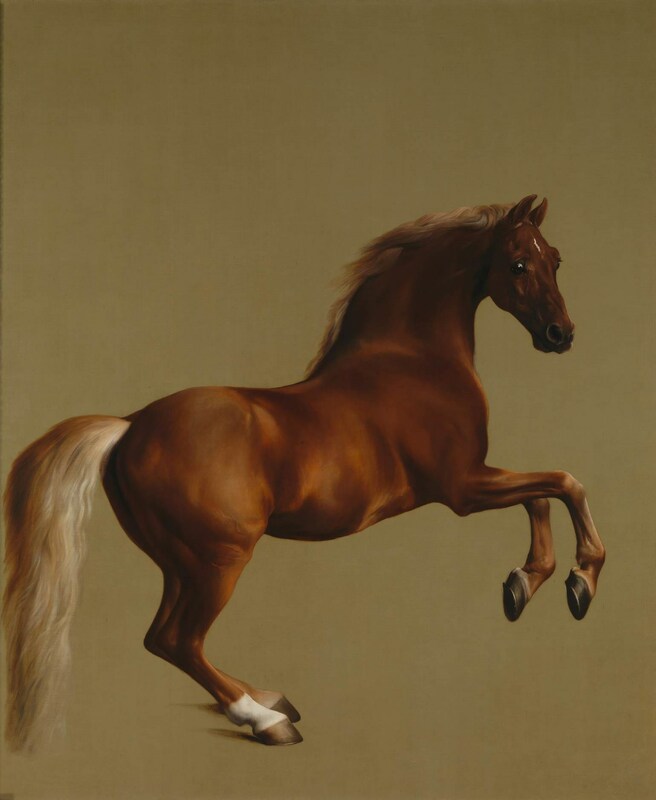 It was, therefore, well kept in mind, as it should be today, that an experienced rider and a rational, gradual training program may compensate for the morphological defects of a horse, just as incorrect work can ruin even the good qualities of the more physically gifted specimen. Giovani, you are going to be the Dan Brown of horse literature . I do hope at sometime all of your blogs become a book. The paintings, quotes and detail are wonderful. Thank you Colleen! You’re too kind. I’m glad you liked it and glad to announce that the book is already made. It will be published in autumn in Italy and next year in the US. As regards to Dan Brown, well you really made me laugh. Ciao! Happy to say that Xenophon Press will be publishing the English edition. Here is a modern example of your historical color research. 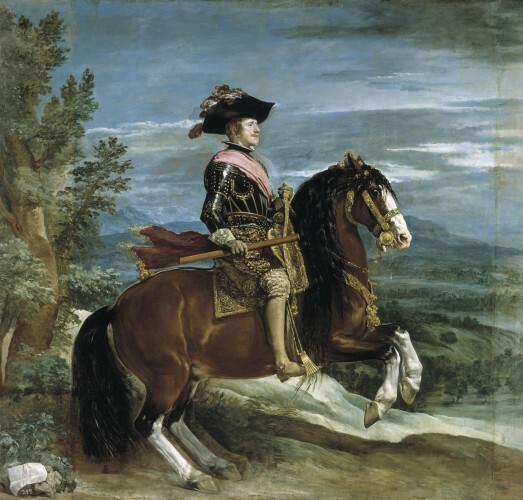 Until very recently, Spain would not allow the registration of a chestnut colored Andalusian. I was told by the Spanish that these horses can be crazy, so they did not want to promote this coat color. Four white socks keep him not a day, three white socks send him far away, two white socks give him to a friend, one white sock keep him to his end. However, as experience showed, much of it was nonsense and at best, myths handed down from our elders, and as Oral Historian, George Ewart Evans once wrote, “the exposure of myth often lies far from its subsequent removal” and you still hear such ideology, even today! Indeed, I throughly recommend his book to you, “the Horse in the Furrow” (1960) which covers many such beliefs in England, mostly in the county of Suffolk! And a great read. I’m very glad you liked it. And thank you for your suggestion. I will look for George Ewart Evans’ book. “Balzano a uno, non darlo a nessuno” (one white socks, don’t give it away); “balzano a due, tira come un bue” (two white socks, he pulls like an ox), “balzano a tre, cavallo da re” (three white socks he is a horse for a king); “balzano a quattro, vendilo o barattalo” (four white socks, sell him or swap him). excellent work of ancient medicine ! The analysis of the Hippocrates theory couldn’t be more complete. The work is absolutely fantastic. I wonder if anyone old and wise in this literature, had made any comments about the colour of the hoof. Generaly i am told that black or blue-black hoofs are much more hard and never loose a nail. 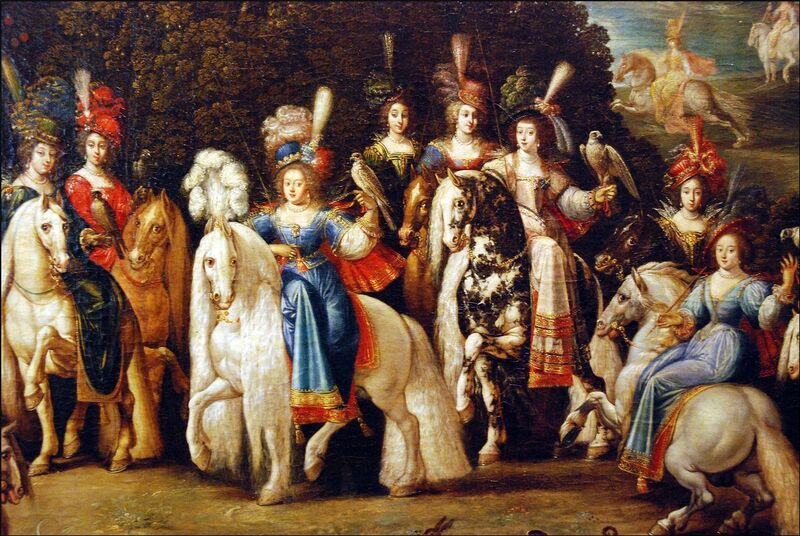 It may has to do with the keratin quality, which is of course part of the genetical background of the horse. Of course there is also the old saynig that ”a good horse is never of a bad colour”!